Few games have hit the market with the impact of Donkey Kong Country. By the time 1994 rolled around the Genesis had been on the market for 6 years and the SNES was entering its 4th. It was reasonable to assume most developers knew the limits of both consoles but then the Summer CES came along and Rare dropped a bombshell. For its time DKC was light years ahead of what we expected from a 16-bit console visually and that fact probably helped it garner near perfect scores across the board. It doesn’t reach those lofty heights but DKC is still an excellent platformer. Donkey Kong’s hoard of bananas has been stolen by King K.Rool and his kremling minions. 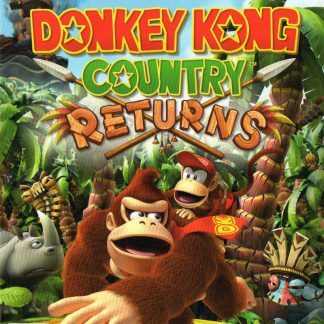 Donkey sets out with nephew and sidekick Diddy Kong to get them back and is joined by an all new cast of characters, including the original Donkey Kong. Normally I would say that they did a great job fleshing out the Donkey Kong mythos (god I feel silly even typing that) but truth be told there wasn’t one to begin with. Prior to DKC’s release the property had been dormant since the early 80s, a point in time where games were so simple it wasn’t necessary to think about an extended universe of characters. Rare, in an uncharacteristic move by Nintendo, were granted free reign to change that. The different members of the DK family all provide certain services such as saving the game, warping you to prior locales and giving hints pertaining to particular levels. DKC’s release was practically the gaming event of the year. Through a bit of genius marketing in the form of a videotape sent to thousands (maybe even millions!) 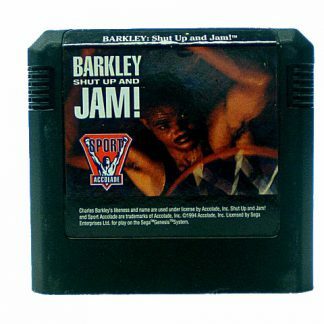 of subscribers of Nintendo Power only heightened anticipation for the game. Cheesy production values aside it was effective at selling just how “advanced” the game was over its contemporaries, a fact not lost on gamers as DKC would eventually become one of the best-selling SNES games of all time. All of that aside is Donkey Kong Country really all it’s cracked up to be? In single or two player coop you’ll be controlling both Donkey and Diddy Kong. Only one character is active while the other tags along and follows your movements. They also function as a life bar; taking a hit causing the active one to become captured and unavailable until you find a DK barrel. There are subtle differences between the pair; Diddy will bounce off larger enemies instead of bowling them over and can move faster and jump higher. Donkey Kong is stronger and has a ground slam when rolling isn’t an option. When they said Donkey Kong’s banana hoard they weren’t joking. There are more bananas scattered throughout the game than you can possibly imagine. Collecting 100 will award an extra life, something the game seems to cram down your throat with regularity. There are a ton of other items to collect but thankfully they’re all strictly optional. Similar to Super Mario World’s Yoshi coins collecting the 4 letters that spell Kong will award an extra life. While it might seem like an easy reward the placement of the letters becomes more spaced out and well hidden with time. Red, Green, and Blue Balloons will grant 1,2, and 3 extra lives respectively but you have to be quick, they’ll fly away! Lastly the different gold animal statues will lead to a bonus area tailored to that specific creature where you have a limited amount of time to collect as many of their emblems as possible for even more lives. Speaking of bonus areas the game is absolutely teaming with them if you know where to look. Every stage has at least 2-3, many hidden in pretty clever locations. Many of them can only be accessed by your four animal companions, Rambi the Rhino, Winky the Frog, Enguarde the Swordfish and Espresso the Ostrich or the different barrels peppering the landscape. All of the bonus levels offer many opportunities to earn extra lives, which the game seems to throw around freely. All those extra lives you’ll undoubtedly build up will come in handy as the last few areas really kick it up a notch in difficulty. It’s actually pretty cool how Rare incorporated the trademark barrels into all facets of the game. Any red blooded gamer who grew up in the 80s will remember the infamous ape threw an infinite supply of barrels in your path but now they are here to help rather than hinder. DK barrels will contain your partner if he is lost, standard barrels can be picked up and rolled in a manner that would DK Sr. proud. TNT barrels are also available but will explode on impact. But the best is saved for last as rocket barrels are used in some of the game’s most grueling platforming segments. The early levels ease you into it shunting you to the next barrel automatically but soon enough you are left to your own devices and forced to time each blast manually. Later stages will require you to perform these acts in rapid succession and it’s pretty thrilling to see it in motion when executed correctly. The game doesn’t solely rely on its barrel blasting mayhem to carry it. At around 40 levels total the game covers a lot of terrain, from standard platform fare such as slippery ice levels and forests to its exhilarating mine cart sequences. The previously mentioned animal companions can be ridden and used to defeat otherwise invincible enemies and access previously unavailable areas. It is true that this series isn’t as heavy on the play mechanics as the Mario series but it offers a great deal of variety in its own right plus offers a higher level of difficulty. By a third of the way through the game it ramps up considerably which is why you are given so many extra lives. The one area the game is lacking are the boss battles, which are so mind numbingly dull they shouldn’t have bothered. At the time of Donkey Kong Country’s release no other game looked like it, even on the Jaguar and 3DO and it basically made us redefine the limits of 16-bit technology. 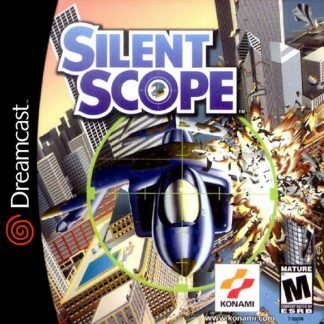 Rare’s ACM technique gave the game one of the most distinct looks on the market and may have single handedly helped push the SNES past the Genesis in America. Most of that visual flair hasn’t held up as well over the years in the same way hand drawn art has; rendered graphics increase in fidelity every year and the low resolution of the backgrounds stands out. While some of the backgrounds have aged the animation and art direction are still stellar. 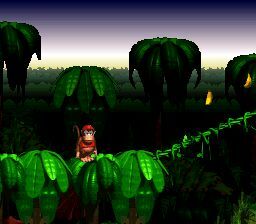 The plastic look of the trees in that initial forest is still unique to this day and most of the game’s other locales are just as distinct, such as the temples and treetop villages. 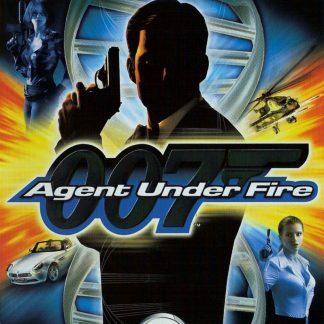 The soundtrack composed by David Wise is also simply stellar with a wide range of mood setting tracks. The underwater theme is right up there with DuckTales Moon song as a videogame classic at this point and the rest of the OST is near that same level of quality. Donkey Kong Country might not be as visually arresting as it was in 1994 but it is still an attractive game and one that has held up in terms of gameplay beautifully. 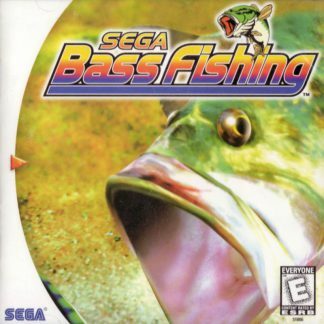 It sparked a revival for the character that still persists to this day and has seen a rerelease numerous times in various formats; any version of the game is worth your time if you are a platform fan.